This mixed media installation is structured like a material archive and enables a lively experiencing of wood as a substance. 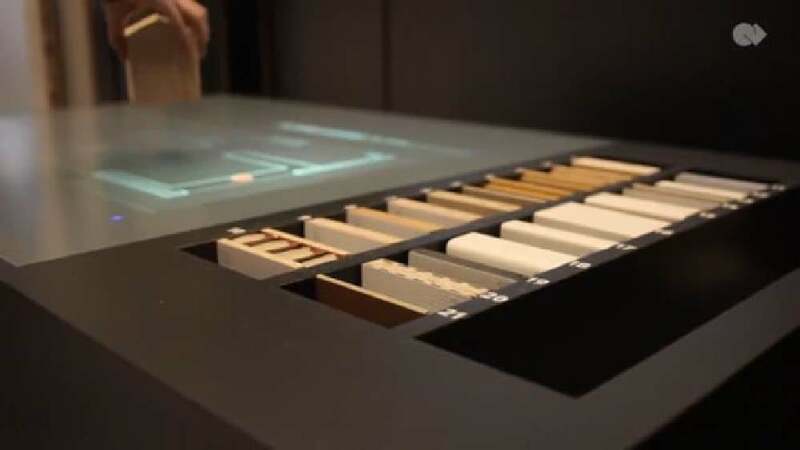 It pre­sents the product and décor world of the wood-based-materials manufacturer EGGER, invoking a virtual house in which users can peruse the products within each room. Via an explorative and playful navigation system, which utilises a wooden object that is dragged over the surface of an architectural plan, users can view the interior rooms, including hotspot references to the product details of the furniture or the extensions. These are displayed as 3D animations on a second monitor.